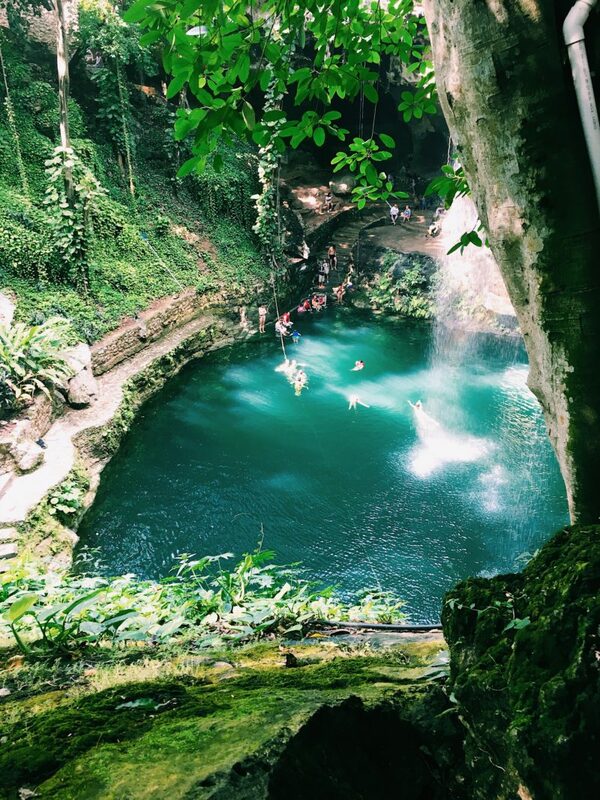 The cenotes of Mexico are even more mind-blowing in real life than in pictures. I’m not even kidding. I knew that the cenotes would be cool – they were towards the top of my Mexico bucket list – but I wasn’t prepared for how overwhelming it would be. 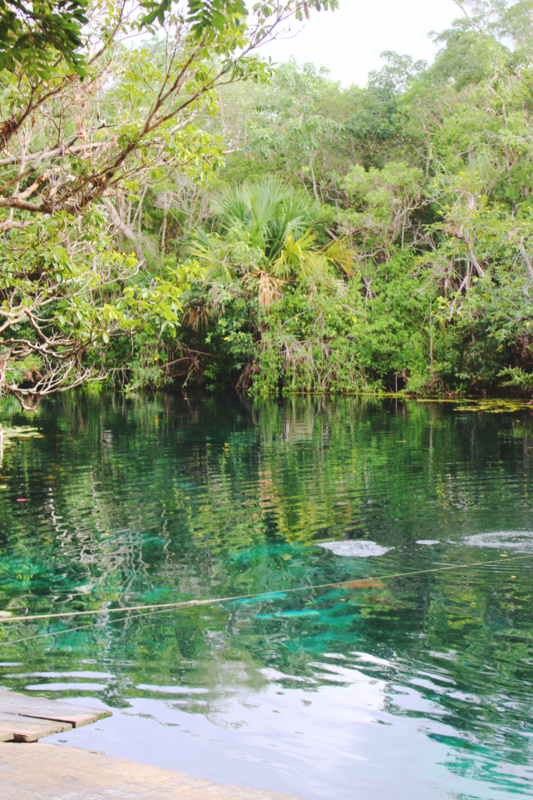 There is something unutterably magic about cenotes. 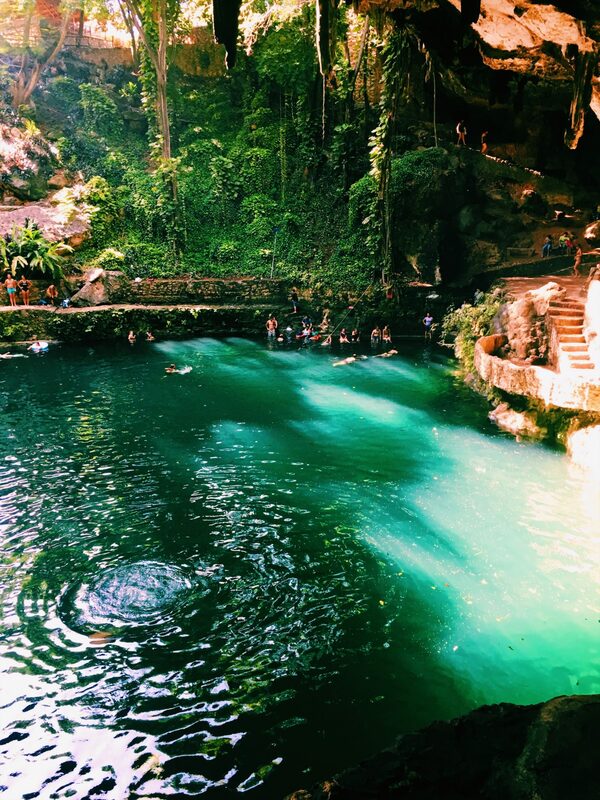 The glorious turquoise, crystal-clear water; the beautiful, calm fronds of the trees; the sunlight… it sounds cheesy and overblown, but honestly! It was an absolutely incredible experience. Read on for my experiences, and some top tips! 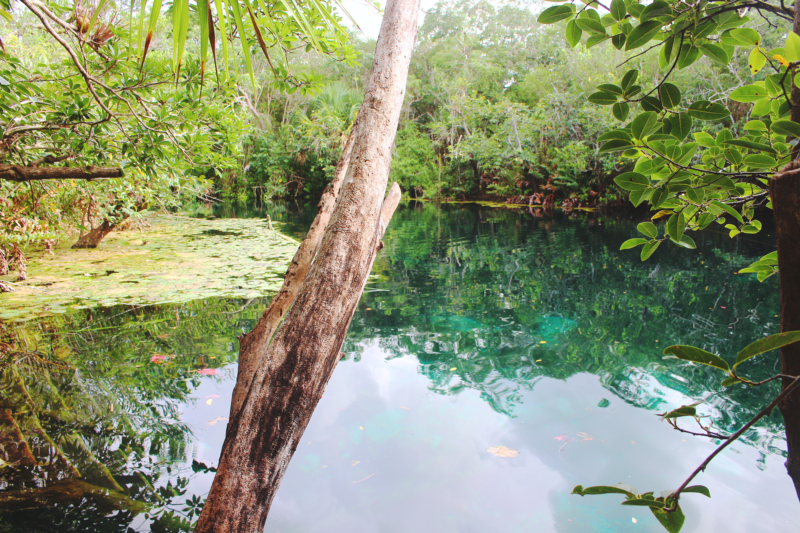 I only had time to visit two cenotes: Cenote Zaci (also listed as Xaci) in Valladolid, and Cenote Car Wash in Tulum. 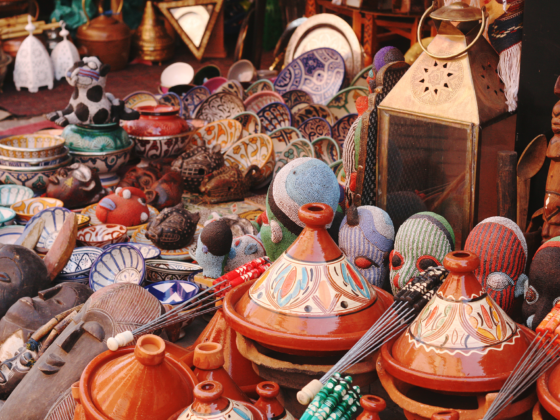 Both are easy to get to, and neither are overwhelmed with people or tourists. 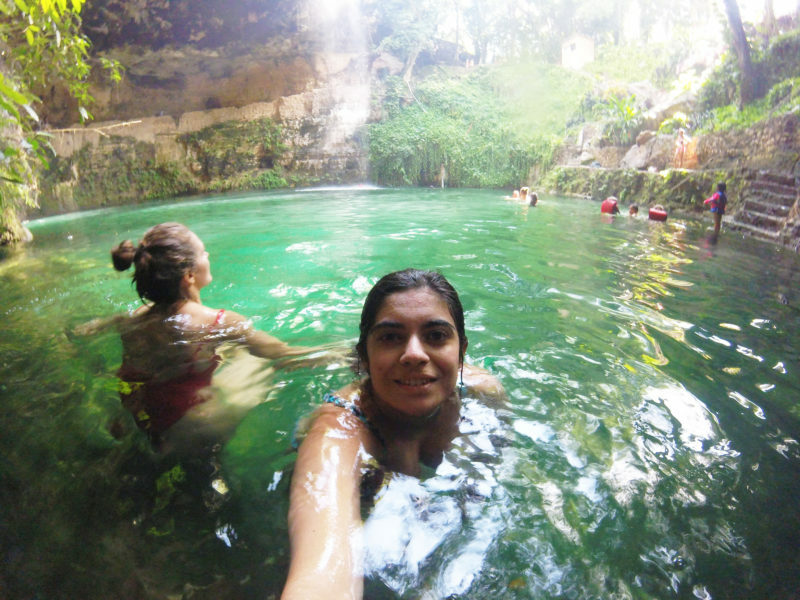 The entry fee for Cenote Zací is 30 pesos, which is crazy cheap – about $1.50. It’s right in the centre of town – and by ‘right in the centre’ I mean, I was convinced the map was wrong and basically stumbled upon it after about five minutes of walking! I use maps.me to get around – it was really easy to find. There’s a little painted sign with the entrance, where you’ll follow some steps down into a dark cave. It’s very atmospheric – you can see drops of water from the ceiling, splashes of green ahead at the exit and hear the echoes of people excitedly chatting up ahead. As you emerge out, you’ll get the most glorious vista down on pure, almost opaque turquoise ringed by the most beautiful green foliage. 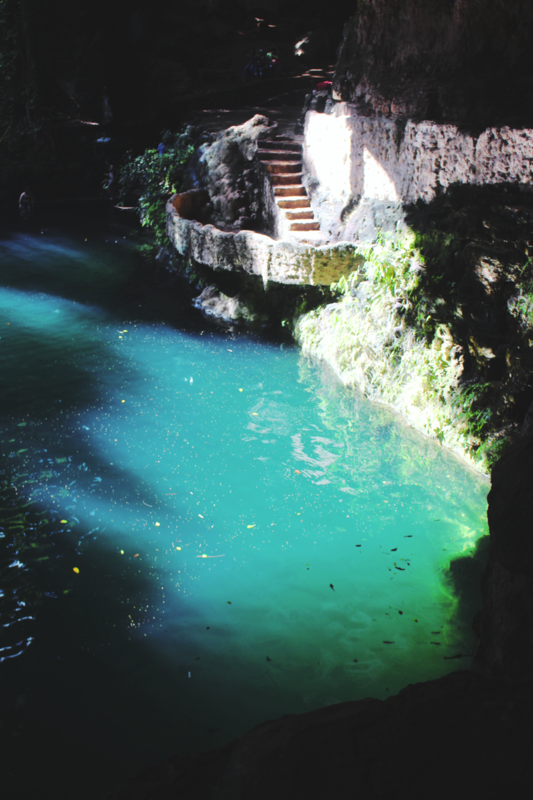 I visited twice – and the first time there was a beautiful waterfall tumbling over the edge of the sinkhole, which just added to the magic. 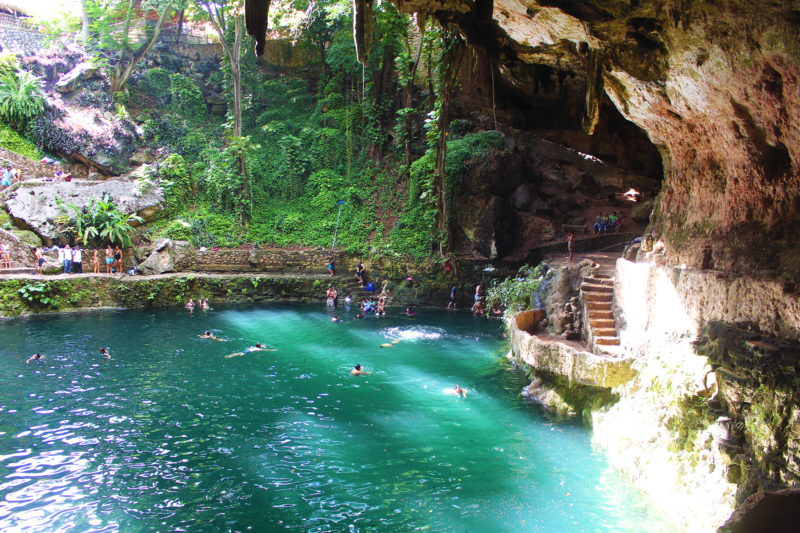 You’ll wind your way around the sides of the sinkhole cave, giving you majestic views of the greenery and the water. There aren’t lockers or anything like that – so don’t bring valuables or place them somewhere you can keep an eye on them if you don’t have a drybag. 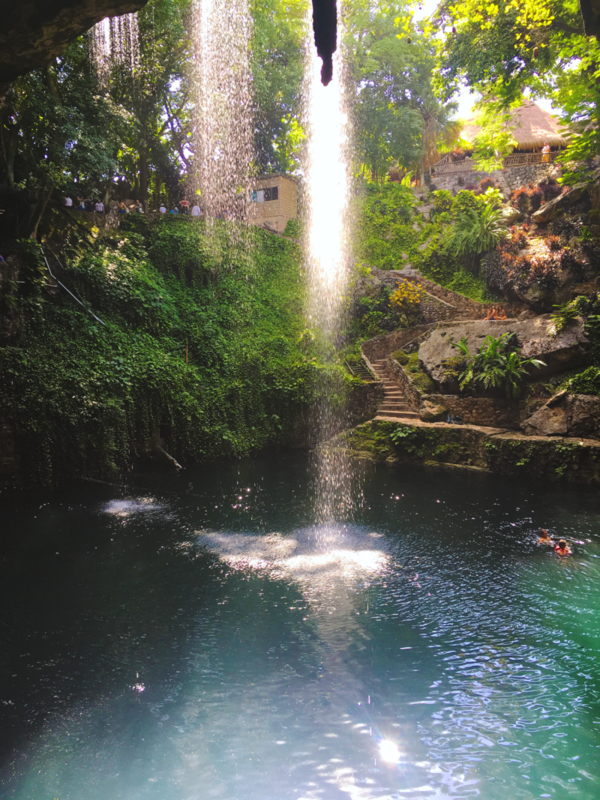 I swam underneath and it was actually quite painful, haha – the force of water is very violent on your face so beware! The black marks in the water are catfish! 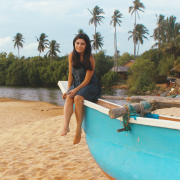 The water is gorgeous – but very cold and very definitely fresh water, so be aware of your bouyancy as it’s not as easy to float as in the sea! 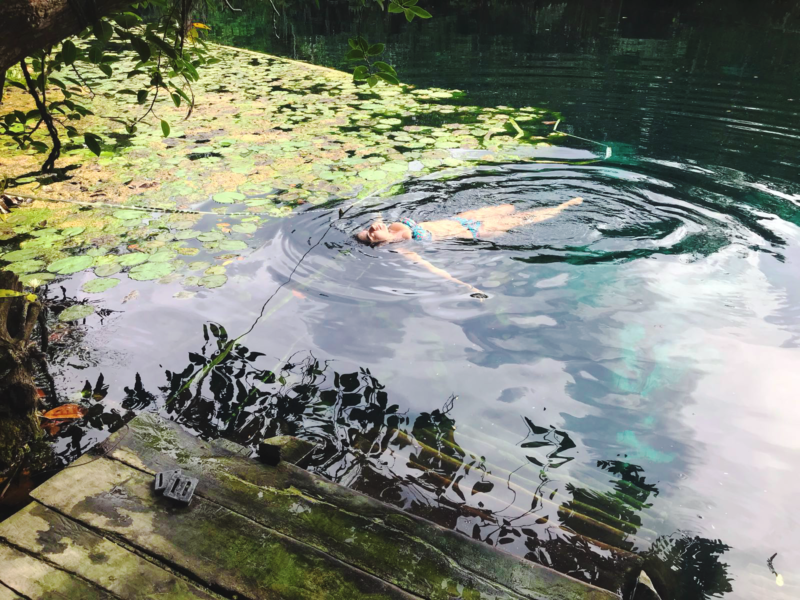 It was really tiring after a while to keep myself afloat – as soon as you step off the steps into the water it becomes very deep very quickly. 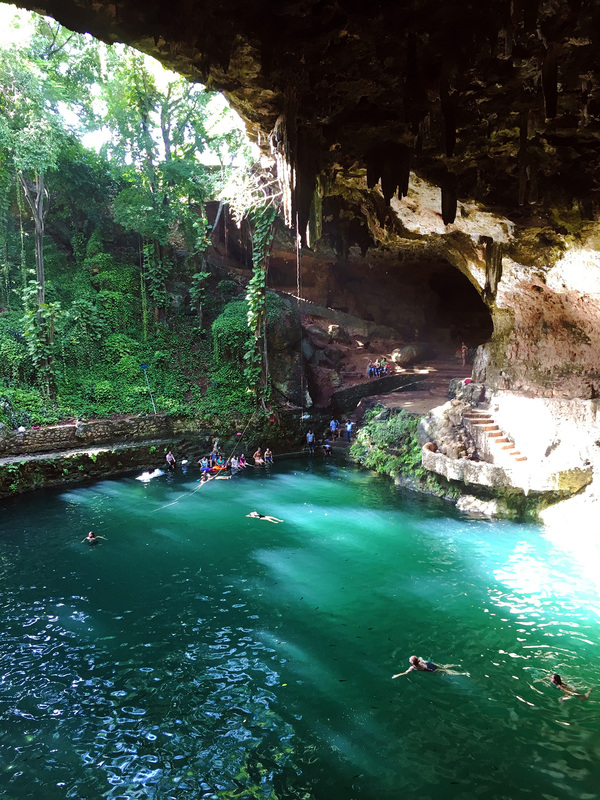 When we were there, we were told it was 80m deep, but from my googling it’s “only” 40m – still pretty deep! The water stays gorgeous and almost transparent across its entire width. I say ‘almost’ as the colour has a sort of milky blue edge to it, though it’s still crystal clear. Perhaps this is something to do with the composition of the rock it’s in – unfortunately I was too busy splashing around and drinking it all in (metaphorically, though I did manage to inhale some water jumping in!) to ask too many questions! I came back the next day to get some photos with my DSLR, and there was no waterfall – despite there having just been a huge downpour! 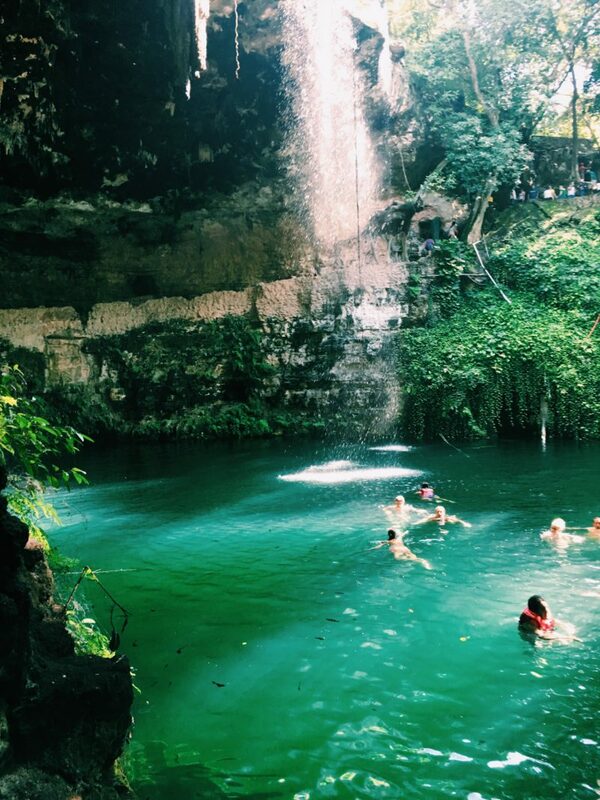 So if you’re in Valladolid for a few days, and the first time you visit the cenote there isn’t a waterfall, I’d check back the next day if you’re keen to see it for yourself. You can see in some of the photos the catfish that live in the pool – they’re not shy, and will happily swim around you and your feet, occasionally taking a nibble at any dry skin! They vary in size and are lots of fun to watch. 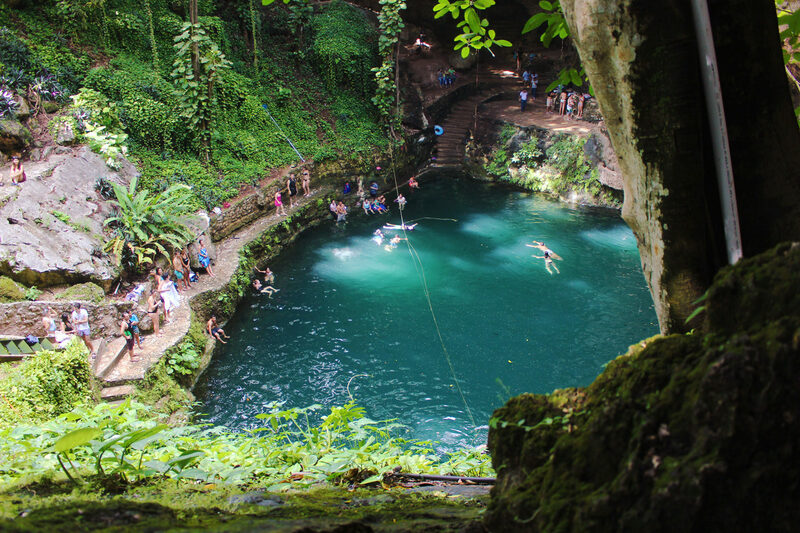 There are quite a few lips to jump from if that’s your jam – as I mentioned, the sinkhole is very deep so jumping opportunities are aplenty. 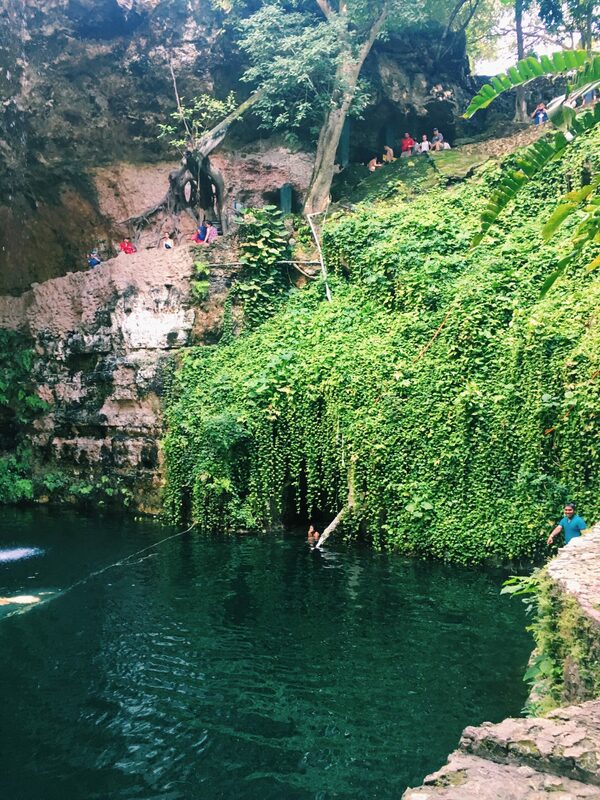 There’s a two or three metre high lip that I jumped off, which was tons of fun but definitely high enough up for me! When I went back the next day, there were some people jumping off a five or six metre drop – they seemed to be having the time of their life but just the thought of that terrified me! 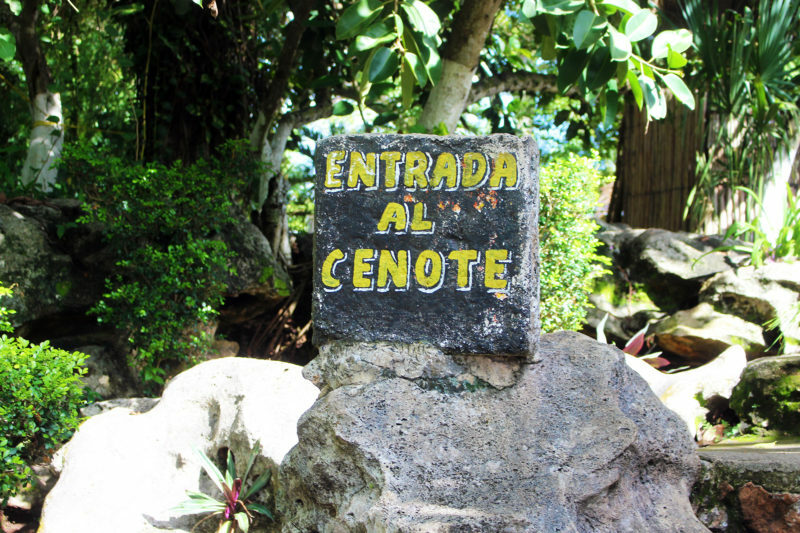 We visited at around 4pm – the cenote shuts at 5:30. There were a number of people there, as you can see – but few people venture out from the edge so you have plenty of space to swim. 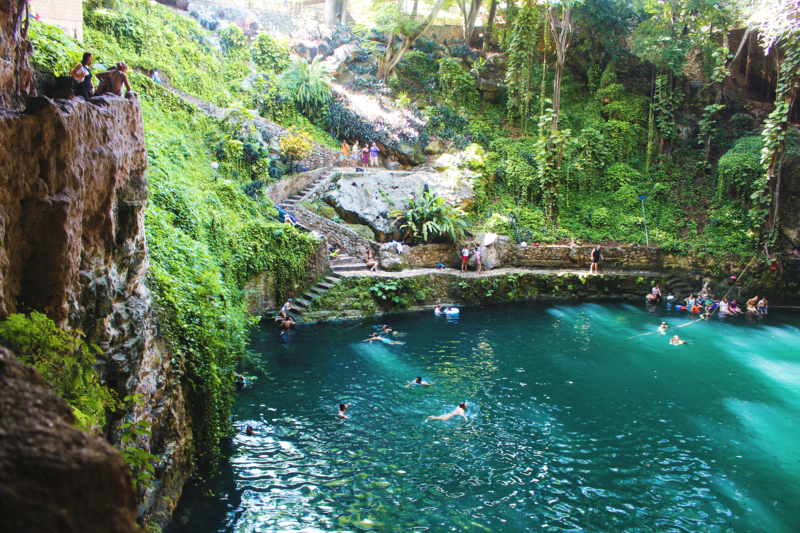 Cenote Car Wash is about a twenty minute taxi ride outside of Tulum centre. 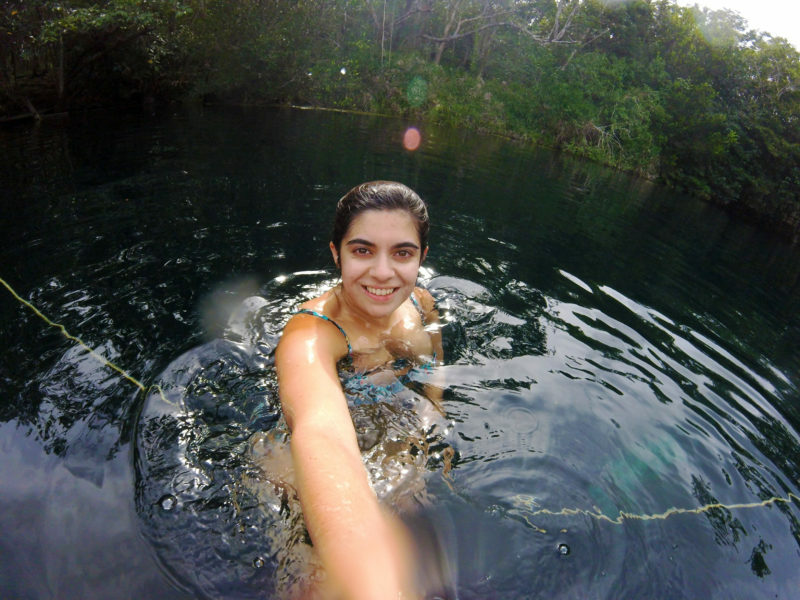 It’s a very different experience to Cenote Zací, but just as incredible. 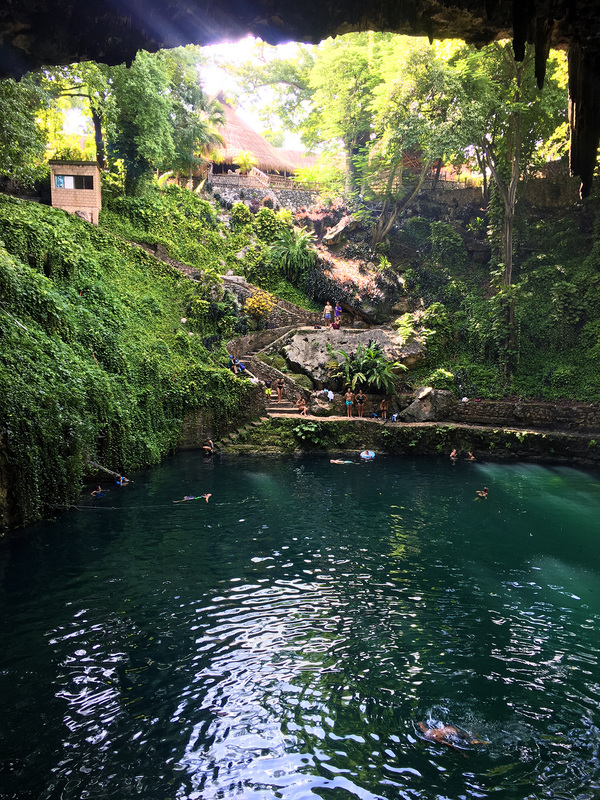 The entrance fee for Cenote Car Wash is 50 pesos – again, super affordable at around $2.60. We asked our taxi driver to come back after forty minutes – which was cutting it close as we really could have stayed for an hour to be honest! 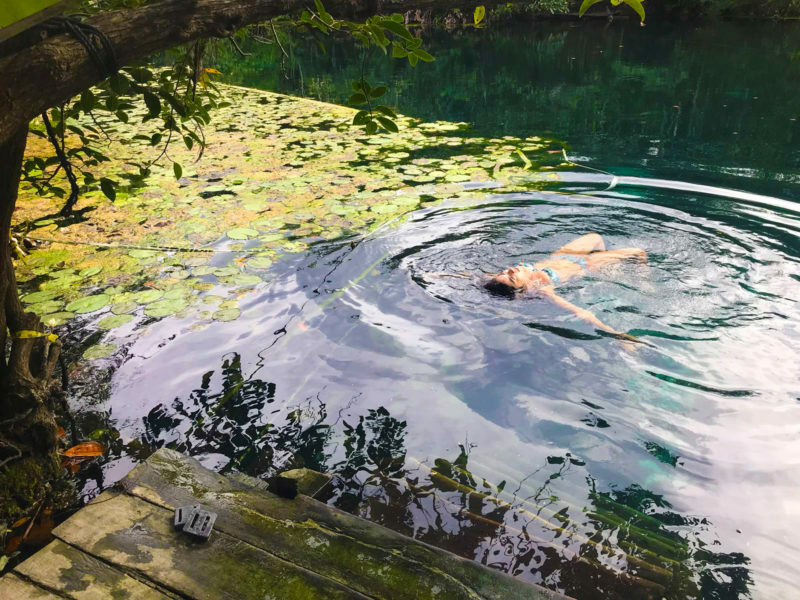 You think it’s just floating around aimlessly, but it really is hard to tear yourself away from how stunning the place is and how calming and peaceful relaxing in the water can be. It’s out in the open, for one thing, which means there’s bright light everywhere – so fewer dramatic shadows, but crazy visibility below. The water, again, is a gorgeous blue – it’s hard to show in the photos here as there were less shadows so the sunlight reflected on the surface but hopefully you can see how beautiful it is. There’s a beautiful section of waterlilies and lilypads to the side of the pond which made me feel like I was in a Monet painting – but again, it’s fresh water so fairly hard to float! My eternal quest to be as graceful as an Insta model continues… didn’t do so well here! 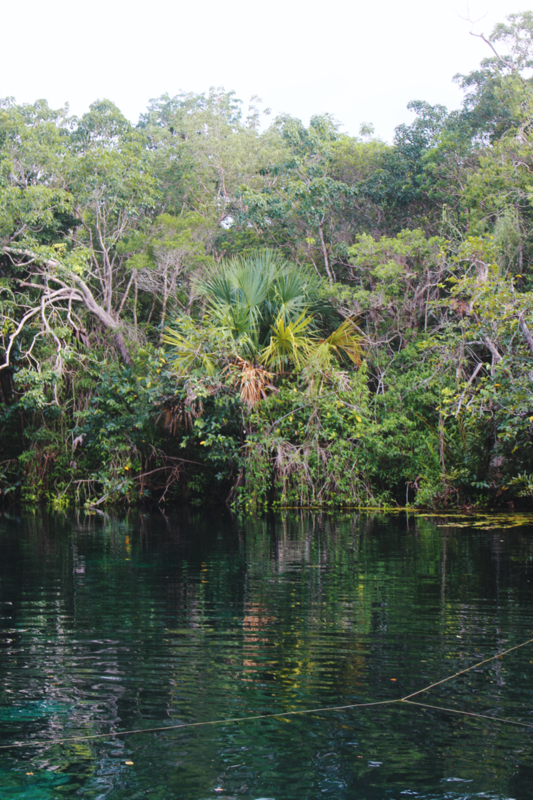 The entire area is surrounded by gorgeous tropical forest, which, to continue the painting feel, was very Peter Doig-esque. 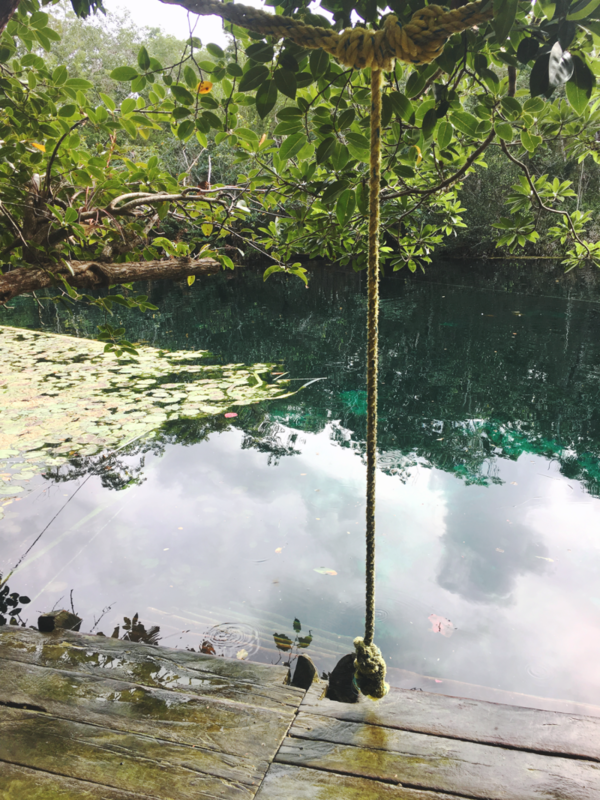 As you can see, there are a series of ropes in the water, which you can use to balance on and hang on to to give your body a respite from trying to stay afloat. I had a ton of fun trying to balance on one leg whilst the fish (again) nibbled at my feet – who needs a fish spa! Again, it was very cold – and again, there are two platforms to jump in from. One is just over the water, about two inches above it. One is a little turret that has benches underneath. I’m not sure how people got up there, but there were one or two people on top and they were discussing jumping off into the water from there (about 2m above the surface). 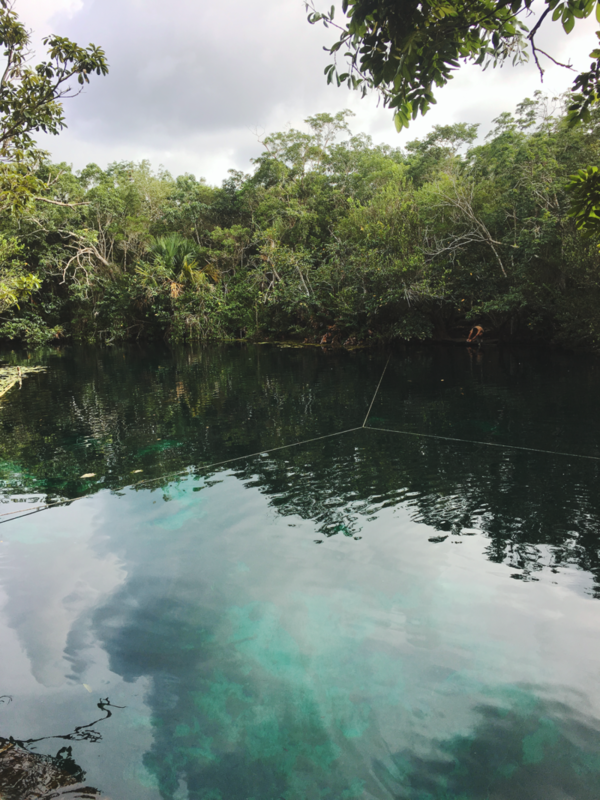 The area surrounding the cenote is quite small, less than a minute from where the cars park, compared to the larger stepped area around Cenote Zaci. Again, there isn’t anywhere to store your belongings other than on top of a few benches or near the floor. I always bring extending padlocks (similar here*) and I used these to lock up my drybag and attach it to a tree, which worked for us. 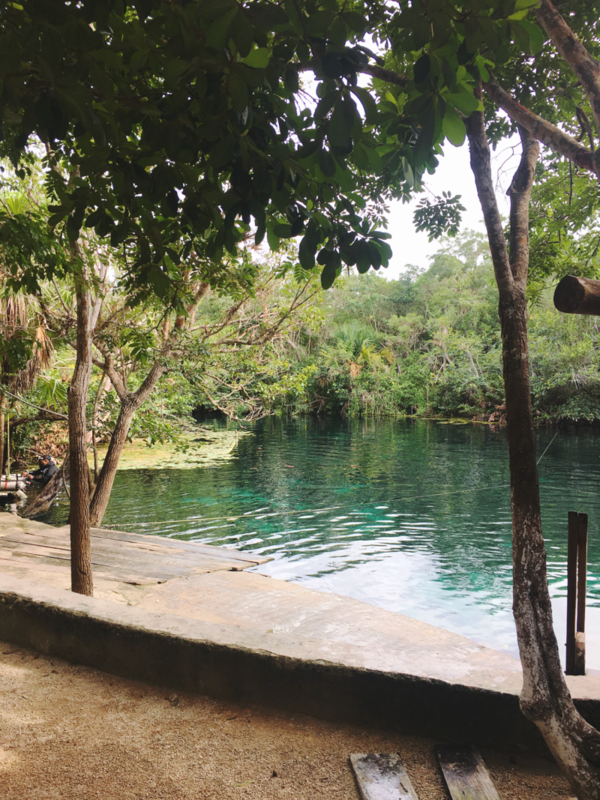 We arrived at 4pm, when the cenote shut at 5pm – and there were only about four other people there (excluding scuba divers – the cenotes are often used as a place to learn to dive!). We actually bumped into a traveller we’d met that morning and shared a car to Coba with – such a small world on the road! 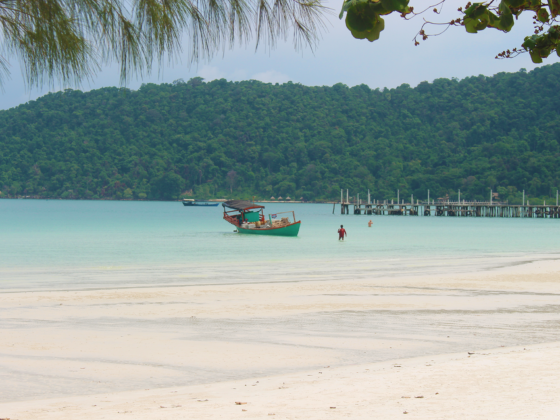 Again, I took far too many photos but these places felt like paradise, so I’ll indulge and share a few more. 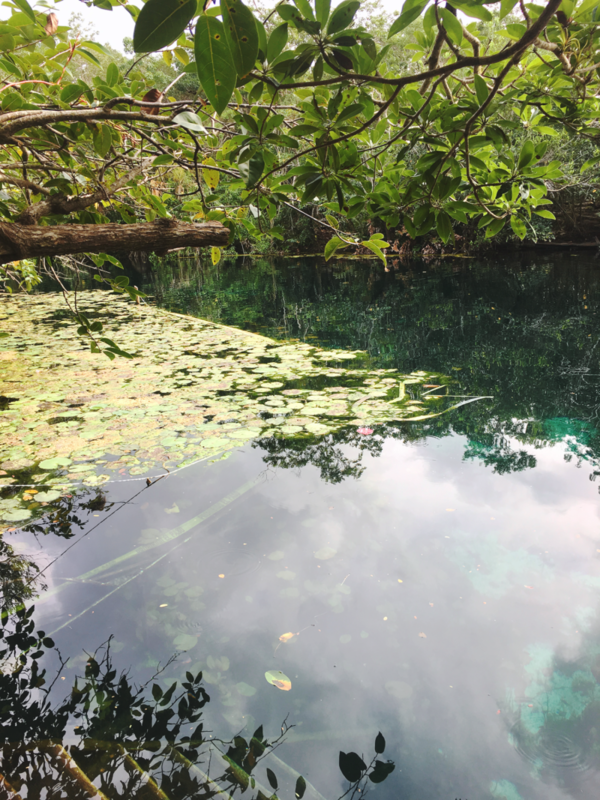 There’s at least one turtle that calls the cenote its home – we spent our entire hour looking for him, only for him to pop up his head as we were setting off, so keep an eye out! Make sure you’ve got room on your phone for tons of photos, especially if you don’t have a GoPro! Don’t forget to bring a towel or sarong to dry yourself off! I did in Valladolid and that meant a soggy walk back! 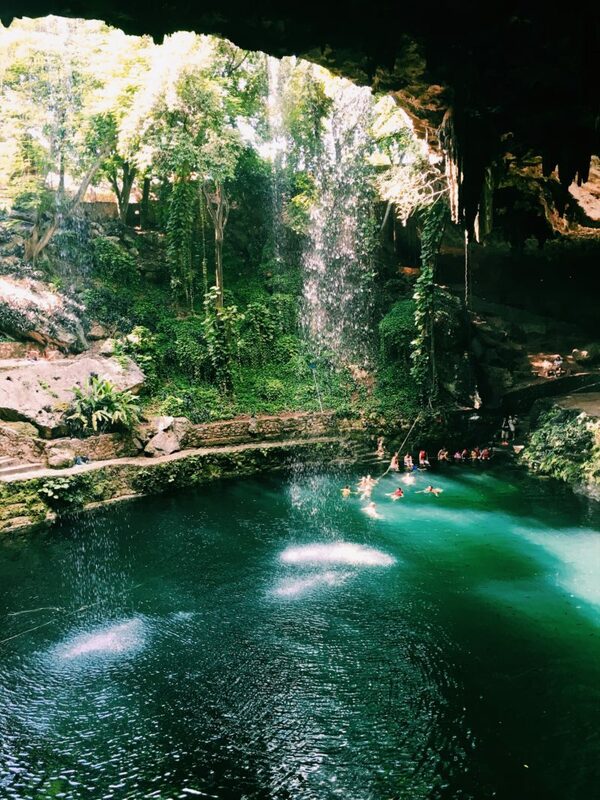 Have you visited the cenotes in Mexico? Which was your favourite? Which should I visit if I manage to get back to Mexico? This post contains affiliate links (marked with a *). This means that if you purchase something through the link, I get a small commission at no extra cost to you, which helps to keep the site running!